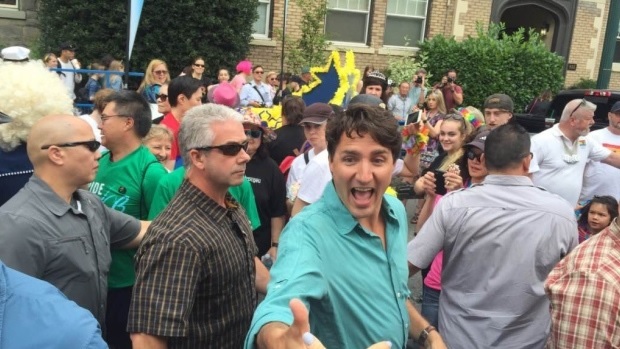 Although this is the third year in a row that Justin Trudeau attended Vancouver's Pride Parade, it was his first as the sitting Prime Minister of Canada, making it a historic occasion for the nation's third largest city. Vancouver's Pride Parade took place between 12 p.m. and 3 p.m. on Sunday, July 31, 2016, with 138 entries and tens thousands of marchers. Earlier this month, Trudeau made history as the first Canadian Prime Minister to attend Toronto's Pride. 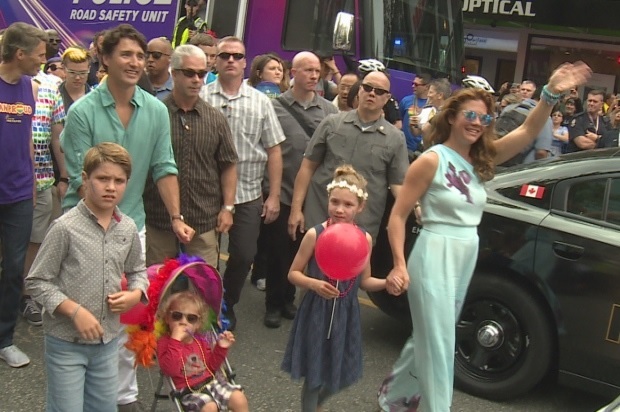 The 38th annual Vancouver Pride Parade had thousands marching in it, but the main attraction appeared to be the Prime Minister and his wife and children who were feted on the parade route on Sunday.